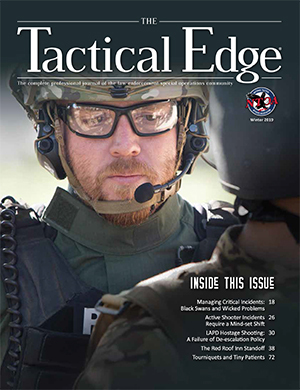 The complete professional journal of the law enforcement special operations community. Opportunity to receive valuable feedback about tactical operators’ product use in real-world situations. One location, multiple courses, multiple instructors! Developing strong leadership is a challenging task for police agencies. In recognition, the NTOA is offering the first-ever Law Enforcement Leadership Symposium in Reno, Nevada, on May 6-10, 2019 at the Silver Legacy Resort Casino. This weeklong training event will provide an array of our most sought-after leadership courses, led by the nation’s best instructors in law enforcement leadership training. A variety of instructors will present each course and the incident debriefs. Sunny Orlando is the ideal destination for the NTOA’s 36th Annual Law Enforcement Operations Conference and Trade Show. Home to more than a dozen theme parks and the world’s most famous mouse, Orlando boasts a bustling nightlife, a growing food and wine scene, and a state-of-the-art performance center. Join us at the Rosen Centre Hotel for six days of hands-on training, seminars, incident debriefs and a chance to rub elbows with leaders and innovators in the law enforcement community. The Orange County Convention Center will host our spectacular two-day trade show featuring hundreds of companies showcasing the latest technologies and products. Whether you come with your family or your team, Orlando will surely be a memorable event! Conference attendees will have the opportunity to attend numerous thought-provoking seminars taught by some of the leading crisis negotiations instructors in the country. Timely incident debriefs will be presented by those who were there. 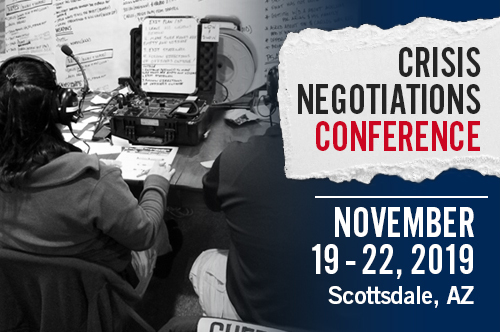 Join us November 19-22, 2019, at the Embassy Suites for a high-quality training event that will enhance your negotiations tactics, sharpen your leadership skills and promote professionalism in crisis negotiations.